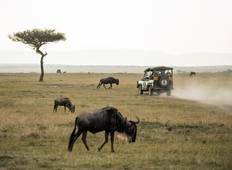 Find a Camping trip that explores Tarangire National Park. There are 34 tours to choose from, that range in length from 3 days up to 16 days. The most popular month for these tours is June, which has the most tour departures. "When I first contemplated what I would experience on a safari, my thoughts went to..."
"If you hashtag your pictures with #getoutside or #adventuretimeisallthetime then..."
"OneSeed is an amazing company. 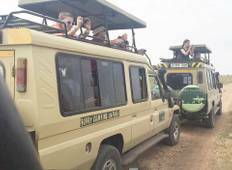 We have done the Kilimanjaro summit and safari and..."